Click Here for more details or see a Customer Service Representative to order your card today! 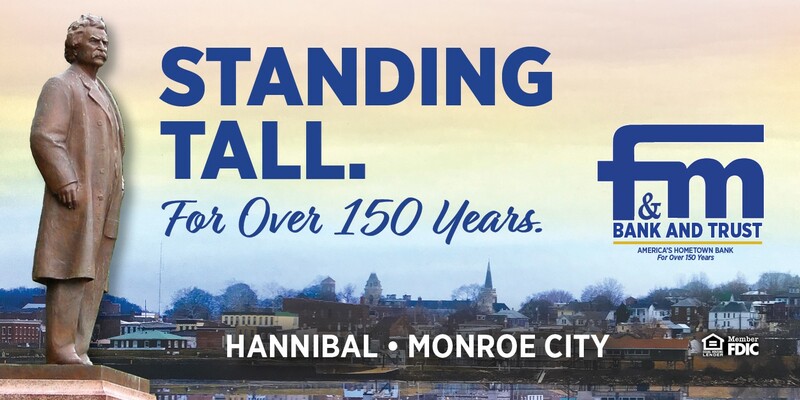 F&M Bank is truly a neighborhood, hometown, community bank with locations in Hannibal and Monroe City. 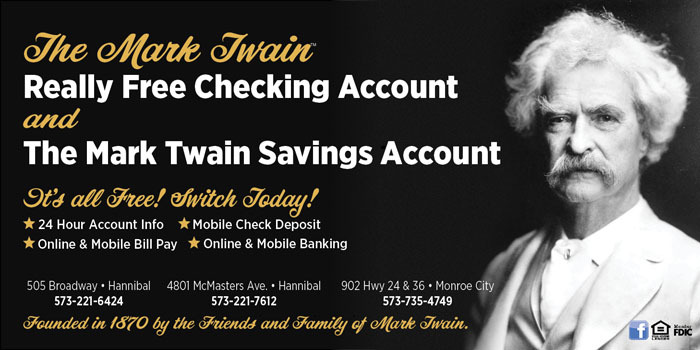 Founded in 1870 by the friends and family of Mark Twain, we are the area’s oldest locally-owned community bank. We are proud to be celebrating our 149th year of providing our customers a wide range of banking services, including many of the latest electronic banking options! We invite you to stop by any of our locations for fast, friendly financial service. 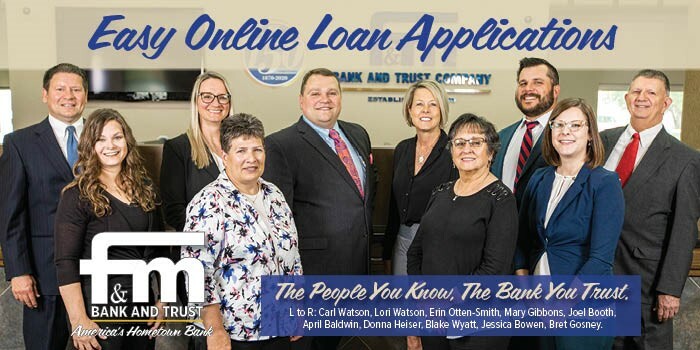 We promise quick loan decisions, and personalized service that only a locally-owned, hometown bank can provide. 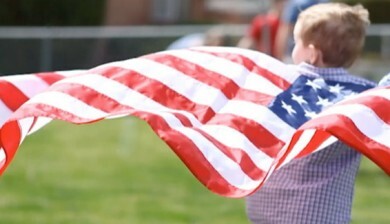 We understand our communities’ unique needs, and are here to help you build your dreams. 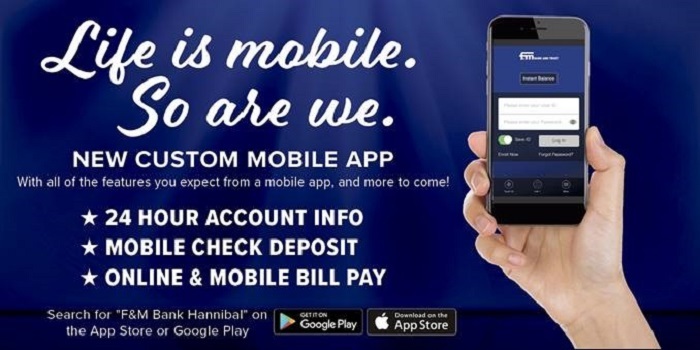 To become better acquainted with F&M Bank, call us toll free at 877-221-6424 or stop in. We're here to help! 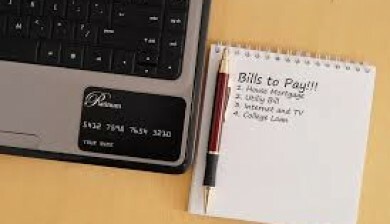 Click here to see a demo Access Bill Payment by clicking the “Pay my Bills” button. Check ordering has never been easier. 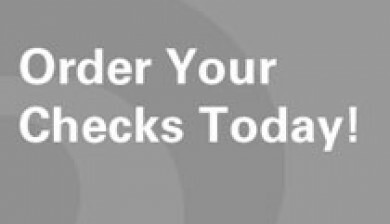 Reorder your checks online today. Please be aware that F&M Bank will never contact you asking for your bank account information. 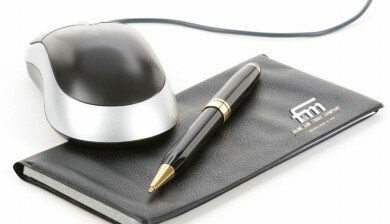 Get more information from F&M Bank. Sign up for our email notifications.